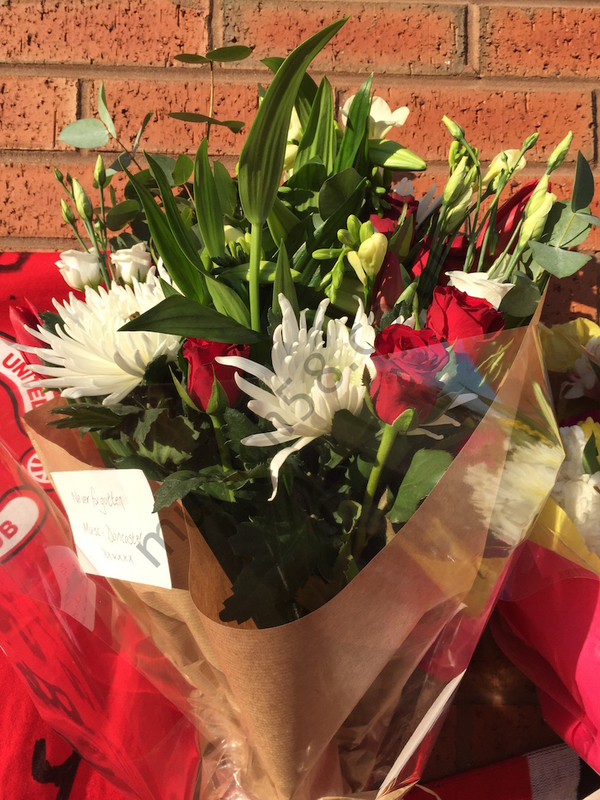 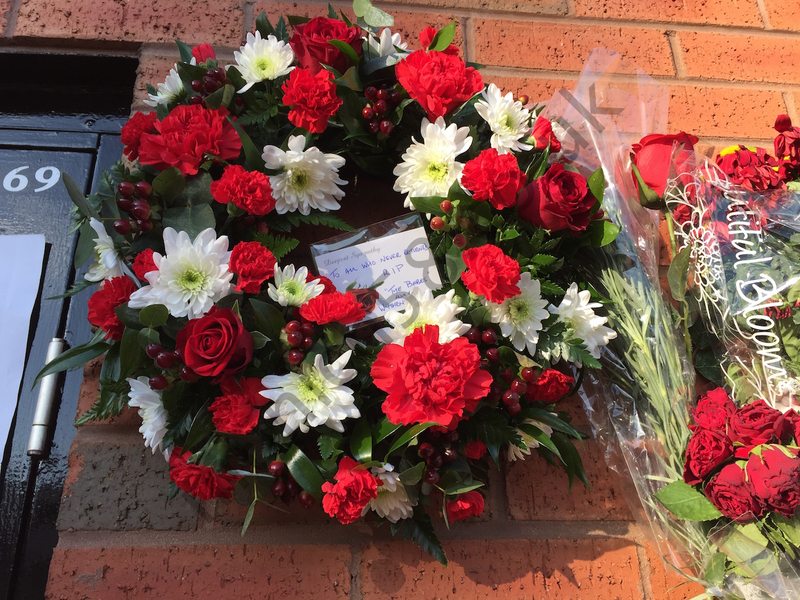 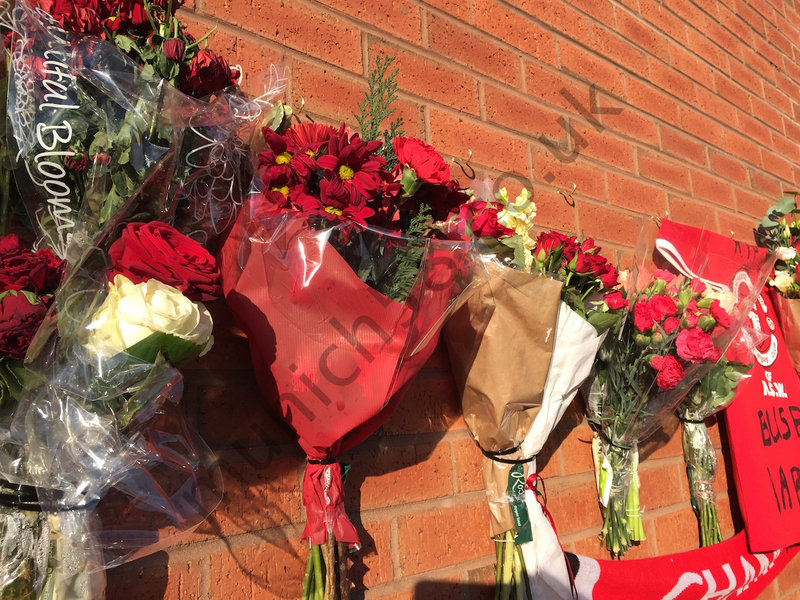 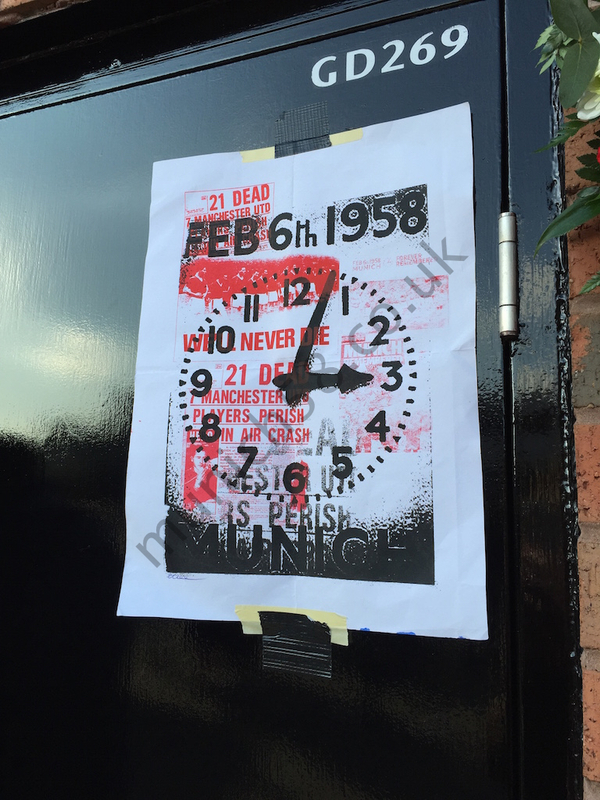 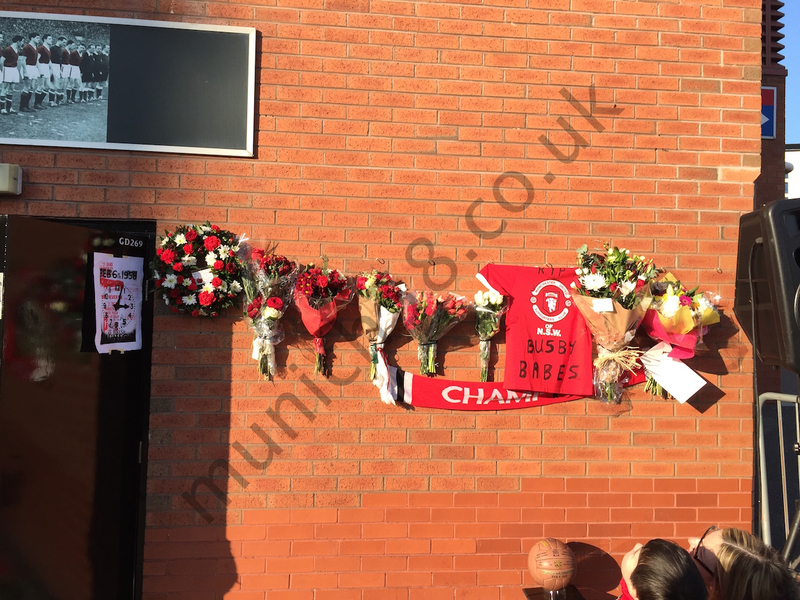 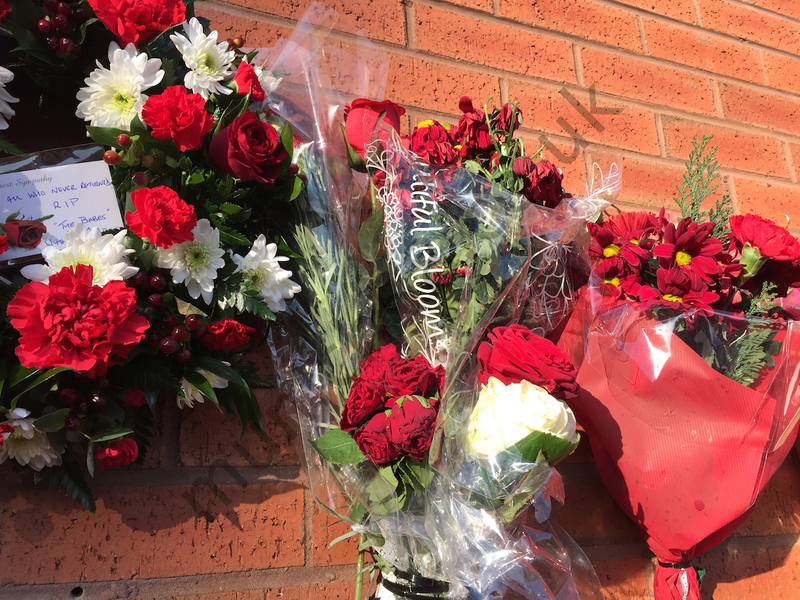 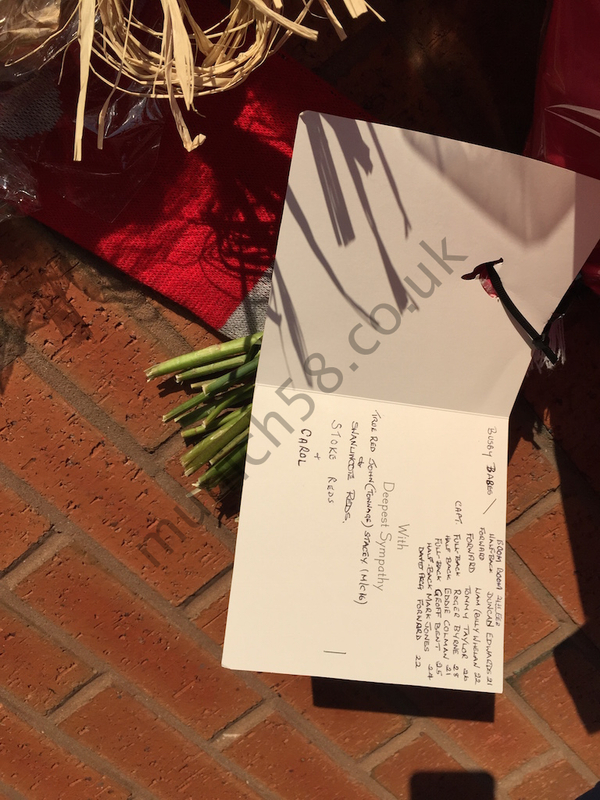 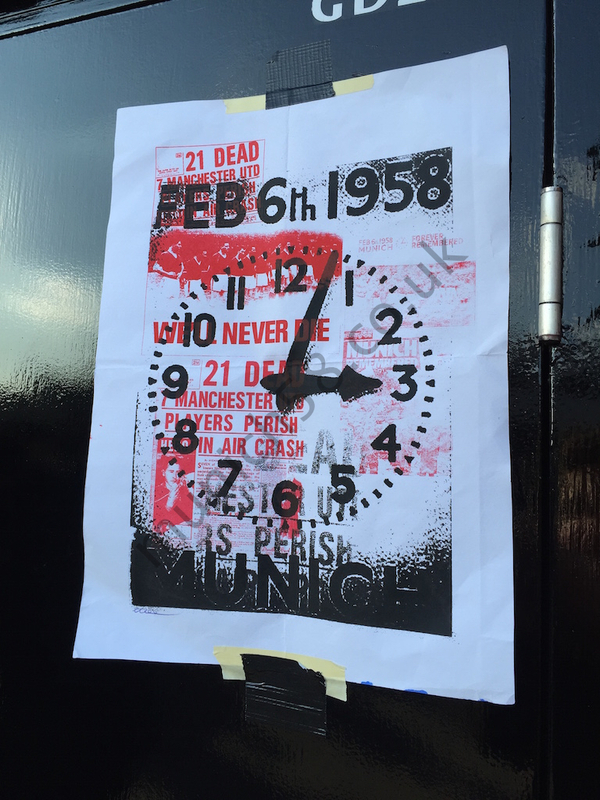 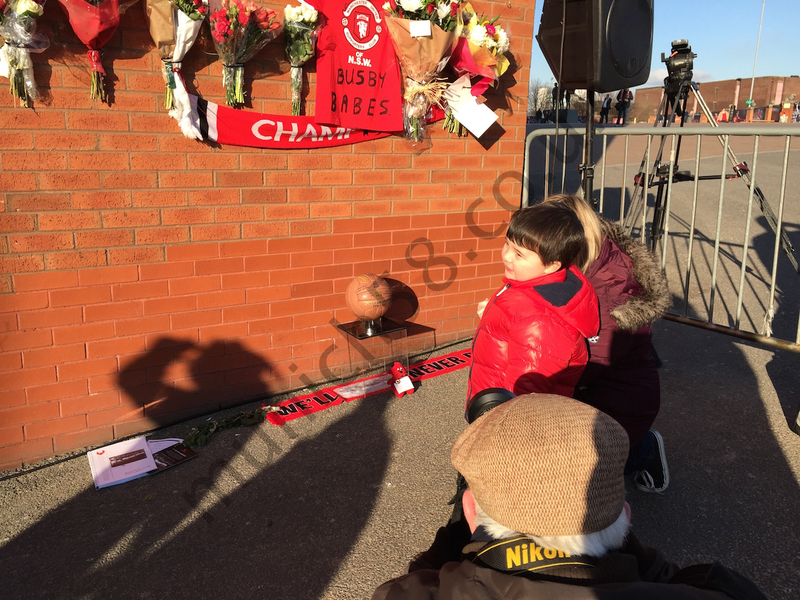 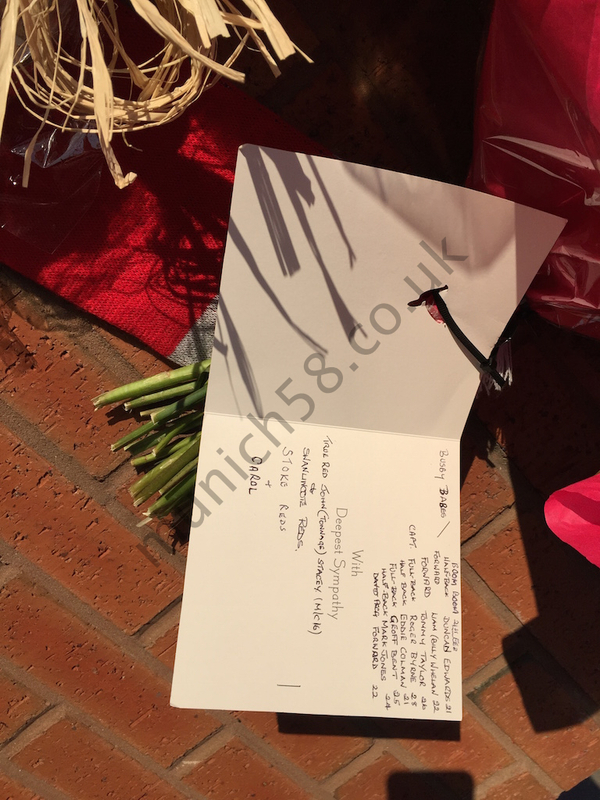 Over 1000 supporters gathered under The Munich Plaque at Old Trafford at 3PM on 6th February 2015 to remember the victims of The Munich air crash. 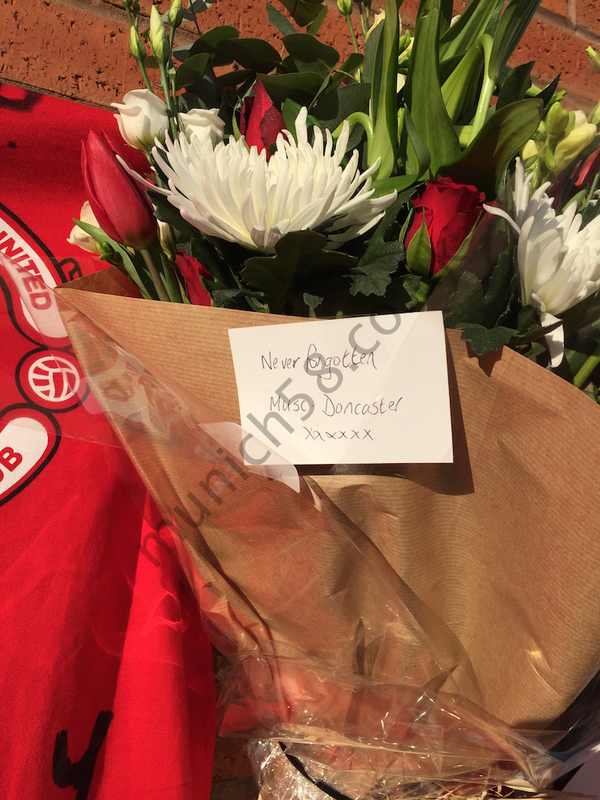 Some fans brought flowers, some brought scarves, one fan brought a specially-made football. 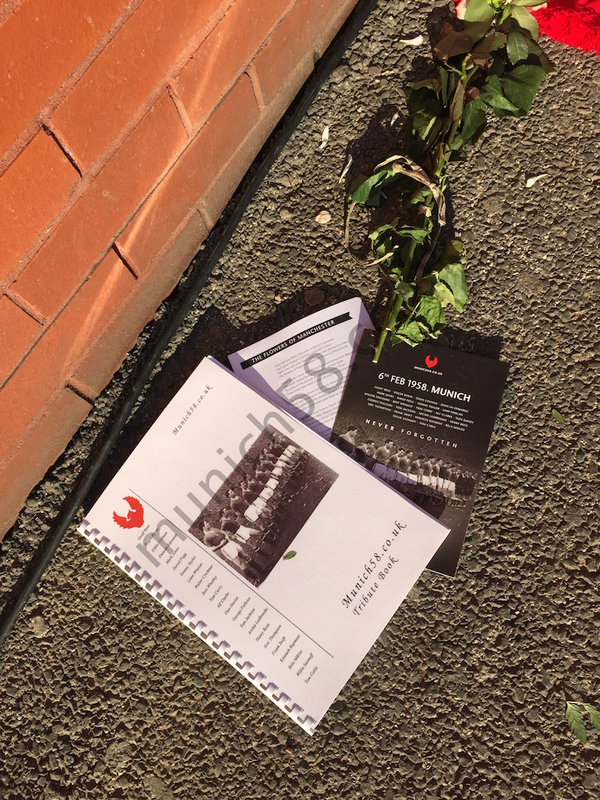 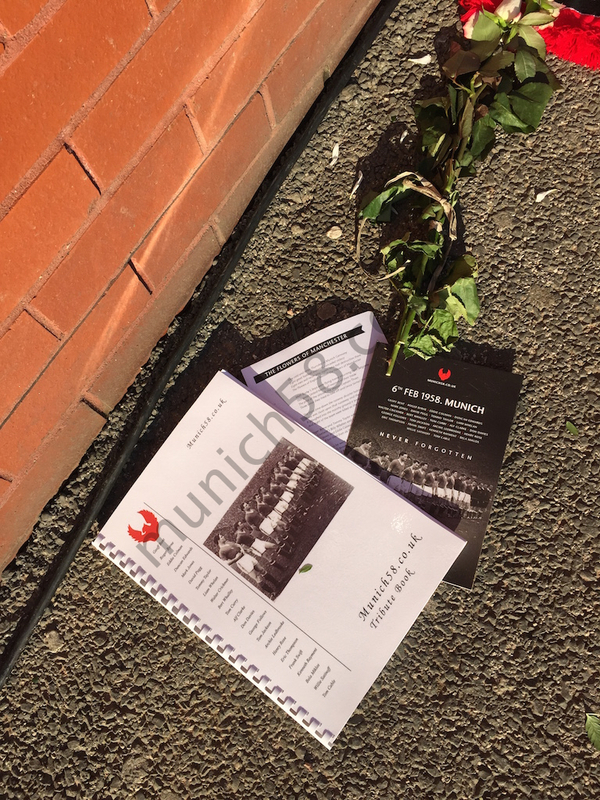 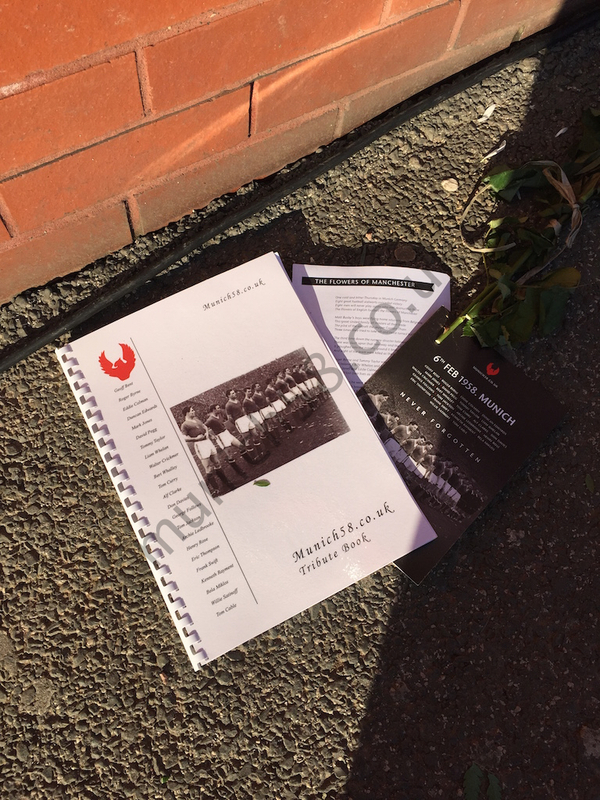 We printed the munich58.co.uk tribute book out – since we launched the book in 2001, over 2000 people have contributed tributes. 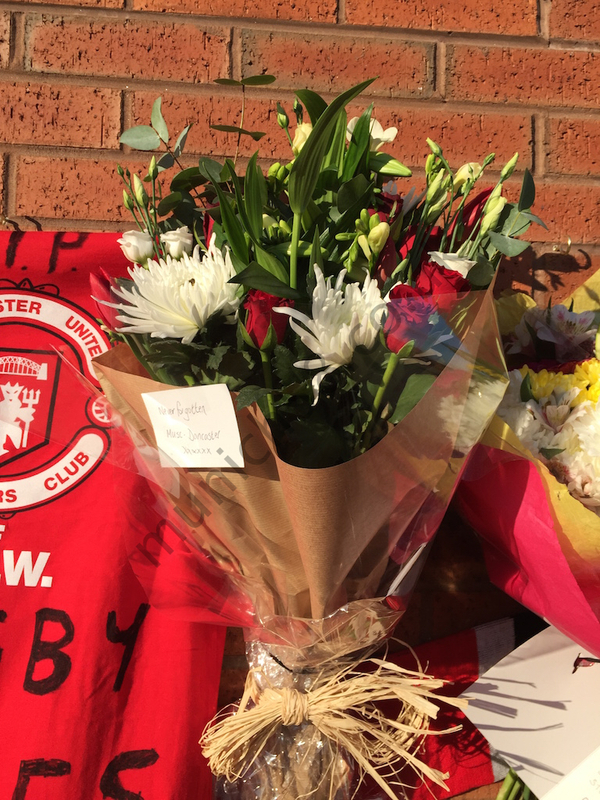 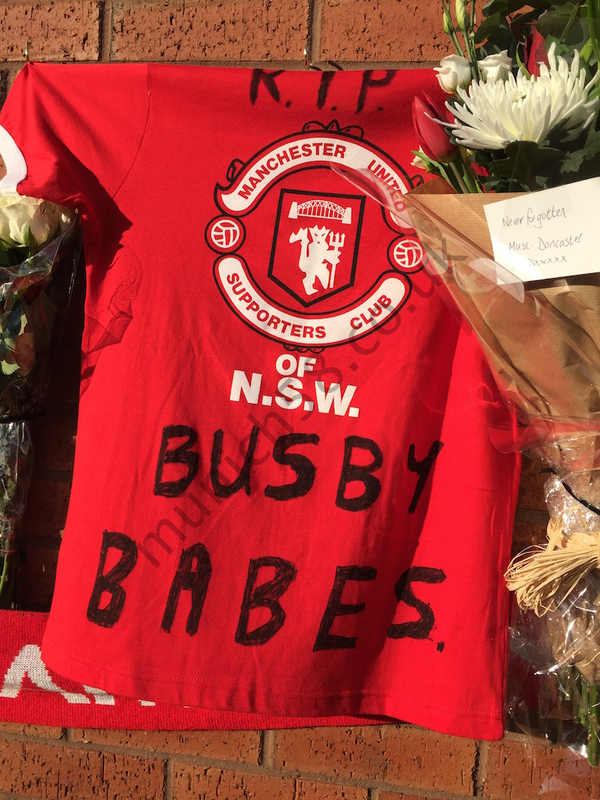 Pete Martin led the singing of his song “Pride of Football The Busby Babes” and “The Flowers of Manchester”, whilst Kady Cavannagh read out a poem that he had written about The Busby Babes. 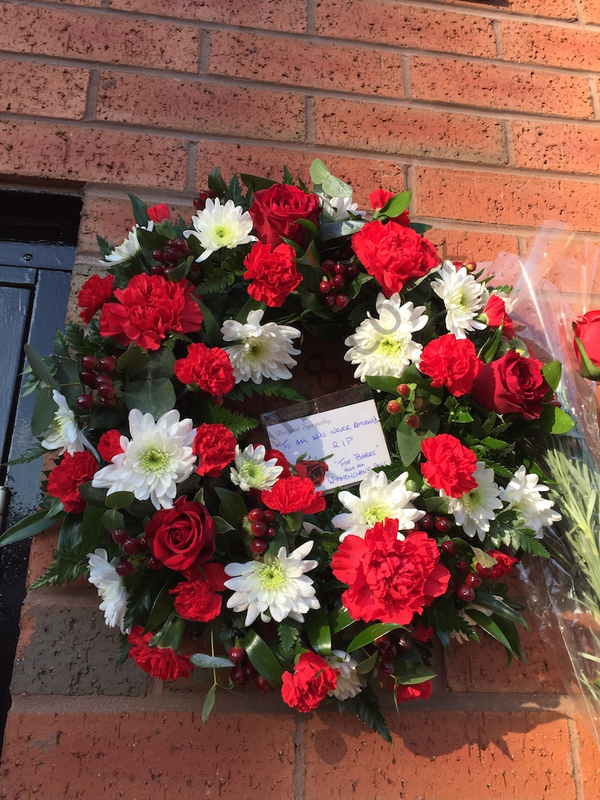 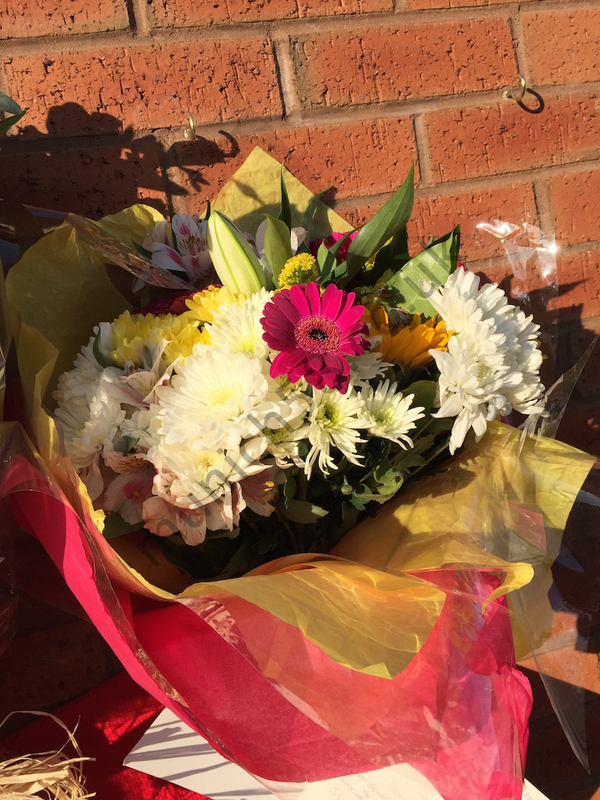 There then followed a 2 minute silence. 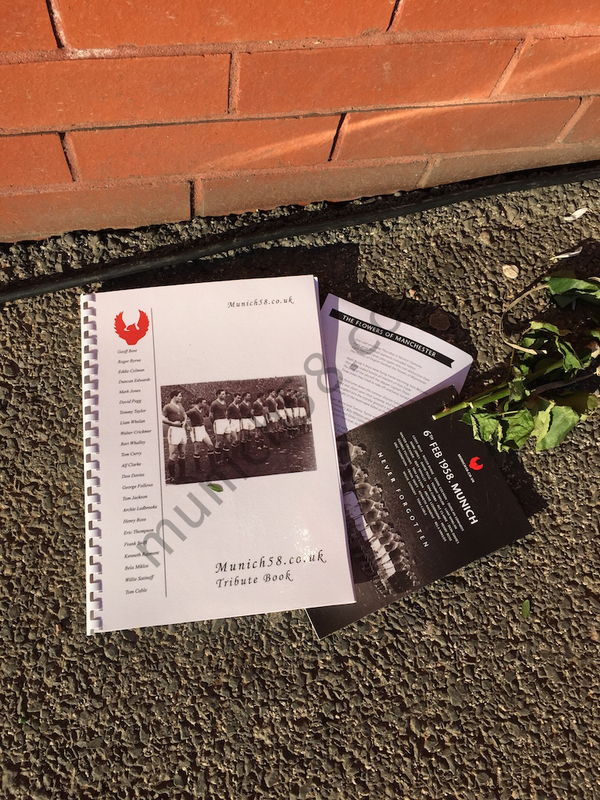 This year the club provided a PA as well as refreshments and also paid for the printing costs for the Munich58 booklet and songsheet.